Don’t really know where the spark came from! It was spring after a very, very long winter and it should have felt good – it didn’t! I’d been working with my horse for a few weeks and having the same old problems, but this day a spark inside me came to life. I couldn’t go on getting nowhere! I needed something else, but what? That day, my journey started. I was not alone! My very good friend has a degree in Equine Science, a thriving on line equestrian business and the world at her feet, but she too had suffered from a lack of progress in her riding and felt a great deal of frustration. We got talking, you know the sort of stuff. “there must be a better way”, “why is it easy for some and not others”, “can’t believe I’ve been riding this long and still can’t …”. We realised that if we felt this way there must be others. My partner on the other hand had always been a natural rider, you know, one of those people with feel, who can apply himself, with determination and discipline and ‘it’ happens, not just happens but with great subtlety and finesse. When he started riding dressage he walked straight up to former National Champion Spencer Wilton at the Winter Nationals and asked him if he could go to him for training. That was the start for Mark and with his usual level of determination and commitment he stated “I will ride Medium Level competition in a year”. And he did! He’s an advanced rider now and it’s all very easy for him. My friend and I, on the other hand, made gargantuan physical efforts to sit correctly, apply the right technique, research and acquire as much knowledge as we could. Technically we knew a great deal, but simply could not find the recipe to make it happen. Often we would give up at the first, sometimes the second, hurdle, but always we would end up frustrated. We could not see a way of reaching our goals. We had both tried for many years and failed. All this is ok, what isn’t ok is the way it made me feel about myself. Essentially an epic fail! I decided there and then that I find out my dream was so elusive; extract from Mark how he does it, make amends and share my findings with everyone. This is how The Crystal System Book was developed; a pathway through the fog, a clear and transparent method, in plain English; a systematic and easy to apply, staged program that will help you to think for yourself and train your horse yourself . I’m on track now with my riding, feel energised and focussed, have clear goals and feel able to achieve them. This is what grass roots riding is all about, attainable by anyone with a desire to succeed and the building blocks are there to go on to advanced levels. Good for you, you might say, but for me the most important thing is this … that feeling about myself that I referred to earlier that I didn’t like, that failing feeling. It’s gone! People ask me this question all the time, which is great, because I want to tell everyone; shout it from the rooftops! It is such an amazingly satisfying journey following so many frustrating years that I want to share it with everyone. Not everyone will agree with the method; not everyone will want to do it our way; not everyone will have what it takes to do it our way; not everyone will see the results that we see; but some will and that’s what makes us smile! 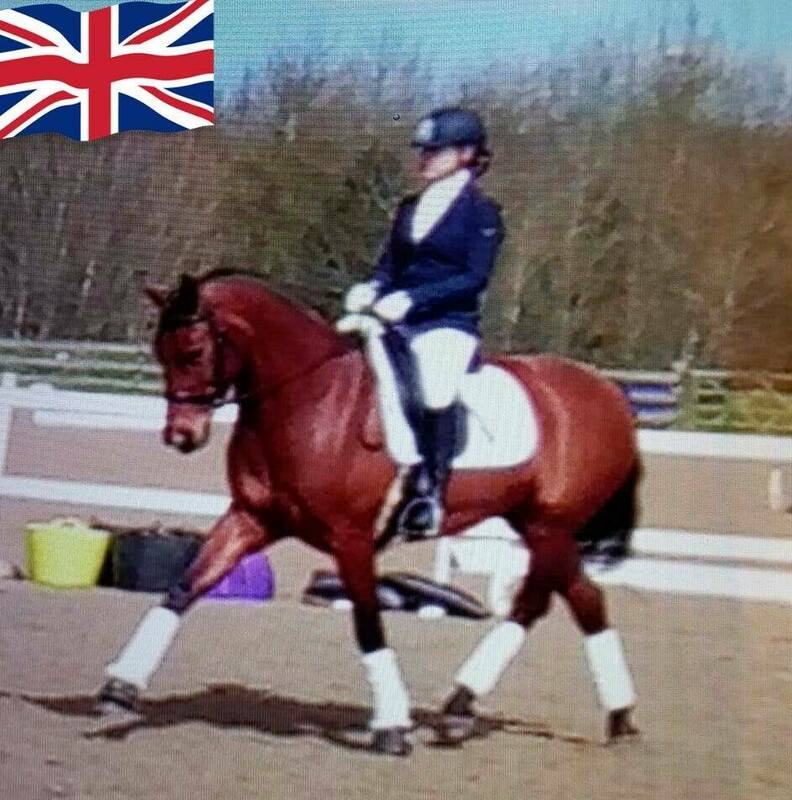 The Crystal System Book provides you with a powerful formula which, if followed and applied correctly, can turn you and your horse into the dressage diva that you so aspire to be and if you join with us now, you’ll share in our journey as we progress the levels and you can come along. What about the horses, they must be special? No, well, yes and no. Yes, because they are our partners, we have overcome so much with them and love them. No because they are all very different and the approach we have used with the Crystal System is successful with each of them. The horses are home bred, but it is not the breeding that is key to their success, it is the method. Heck!, I ended up riding my little horse because no-one wanted to buy her. 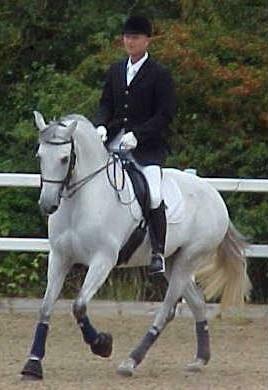 She is not my idea of a dressage superstar horse but she does move loosely. You can subscribe to the blog and get more than just the amazingly helpful regular hints and tips absolutely free; guest bloggers together with in-depth analysis of training methods and what does and does not seem to work. When you email help@likecrystal.com you get a real answer back from one of us. We go out of our way to create free, valuable information that will help you move forward in your training, even if you never buy anything from us, just because we feel so sure that our system works that we want everyone to know about it. Awesome. I’m so exited that I came across you and I’m looking forward to learning more about you. I’m in Australia and I would love to buy a copy of your book, but Amazon says “no” 🙁 Is there another way I can get hold of a copy? Hi If you email me your paypal email, I’ll send you an invoice and post one out to you. p.pitt@likecrystal.com.